Like it or not humans have always been inspired and intrigued by the unnatural and the unknown. As such, supernatural beings (vampires, werewolves, demons and angels) have been the subject of many a movie and TV series. The stories of Dracula and his exploits have been told to death. There are so many incarnations of Vlad the Impaler, the latest being the movie "Dracula Untold". Cinema has also modernized our views of vampires. The once scary bloodsuckers now look like you average joe schmoe, only more good looking, cooler and hipper. Recent movies have garnered a rather large fan following. Examples of these include "An Interview With A Vampire" (1994), an adaptation of the books from famous author Anne Rice, and starring Tom Cruise and Brad Pitt. More recently, movies based on the Twilight books by Stephenie Meyer, converted more teens to this genre, and in the process turning relative newbie actors such as Kristen Steward, Robert Pattinson and Taylor Lautner into overnight sensations. These movies were released from 2008 to 2012, and did really well at the box office. "Ian Sommerhalder (Damon Salvatore), Nina Dobrev (Elena Gilbert/Katherine Pierce) and Paul Wesley (Stefan Salvatore) at the 2014 PaleyFest"
The Vampire Diaries was introduced to us in 2009, probably to coincide with the release of the Twilight movies. The creative team of Julie Plec and Kevin Williamson created this new series for the CW, loosely based on the books by L.J. Smith and starting in the same vein as the Twilight saga. The story revolves around the Salvatore brothers Stefan (Paul Wesley) and Damon (Ian Sommerhalder) and the fictitious town of Mystic Falls. 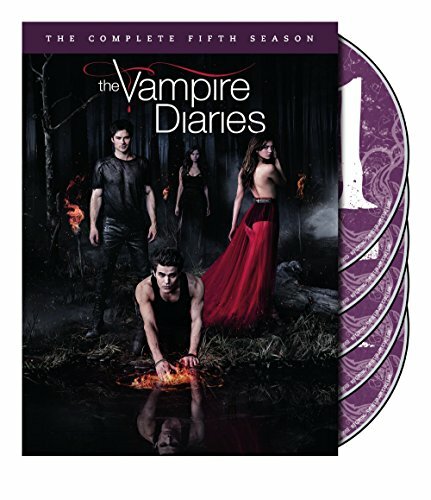 Now into the 6th season, the story developed from a simple love story concerning a human girl Elena Gilbert (Nina Dobrev), originally mistaken to be their ex love interest Katherine Pierce (also played by Nina) and the two brothers in a convoluted love story spanning generations (vampires live forever remember!). This show is most famous for its liberal use of dopplegangers. The writers expertly weave an intricate story linking the past lives of these characters, and how Stefan and Elena, will eventually end up together as they are destined to be, as was their past life dopplegangers, Silas and Amara. Along the way, family members die (Sara Canning's Aunt Jemma), discover that they are vampire hunters (Steven R. McQueen's Jeremy Gilbert), human friends turn into vampires (Candice Accola's Caroline Forbes), with some discovering that they are powerful witches (Kat Graham's Bonnie Bennet a powerful witch who dies and becomes a bridge between two worlds) or werewolves (Michael Trevino's Tyler Lockwood). The only human left standing as of season 6 is Zach Roerig's Matt Donovan. 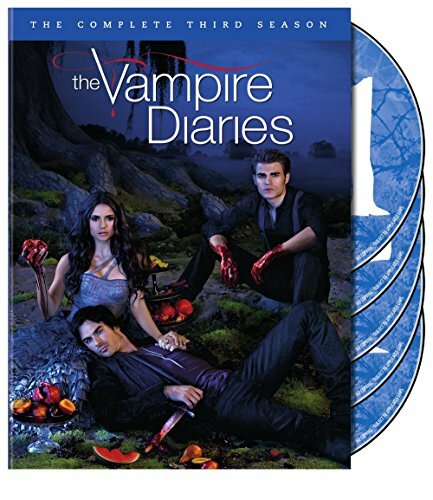 They also introduce very interesting twist in season 3, the original vampires who "sired" future generations of vampires. Joseph Morgan portrays the powerful Klaus Mikaelson who comes into town with a mission, to create an army of hybrids. To do this, he requires the blood of a doppleganger (i.e. Elena Gilbert). We are also introduced to his family, Elijah Mikaelson (Daniel Gilles), his brothers Kol and Finn, his foster dad Michael, a vampire who kills other vampires and his witch mother. The back story for the Mikaelson Brothers got so interesting, a spin off series was created to explore this world of "The Originals". "Claire Holt (Rebekah Mikaelson), Joseph Morgan (Klaus Mikaelson) and Daniel Gillies (Elijah Mikaelson) of The Originals at the PaleyFest 2014"
After fleeing their vengeful father, Klaus and his brother Elijah eventually come back to New Orlean's to reclaim their kingdom and to get their immediate family of together. These include Klaus and Elijah's baby sister Rebekah (Claire Holt), and Klaus's baby mama Hayley (Phoebe Tonkin). On their return, they discover the town they founded is now run by Klaus's protege Marcellus Gerard (Charles Michael Davis). So begins the tussle for power as Klaus tries to wrestle the town back from Marcel. Season One explores this delicate dance between Marcel and Klaus. Then there is the back story of New Orlean's, and the interplay between the original vampires, the werewolves, the witches and the humans. Marcel manages to balanced this rather effectively, keeping everything in harmony, until Klaus comes into the picture. Klaus discovers that Marcel has a secret weapon in a very powerful young witch, Davina (Danielle Campbell). He also has to come to grips with his brothers growing affection for his baby's mumma Hayley, who is carrying his hybrid baby. The current season focuses more on the Mikaelson's and their dysfunctional family. Mummy Mikaelson comes back from the dead to try and reunite the family and rid them off their curse, while pappa Michael is brought back by Davina for one sole purpose, to rid the world of Klaus. This, if any makes for one hell of a story. In the backdrop the vampires, werewolves and witches continue their tussle to regain control of the quarters. Both shows are amazingly addictive despite their rather formulated premise. The Vampire Diaries did not start off very strong and for a while I felt they were just ripping off Twilight with the love triangle, the vampires and the werewolves. But the series has grown from strength to strength. Most of the characters were very one dimensional in the beginning (Stefan-Elena-Damon versus Edward-Bella-Jacob) but that has changed over the course of the series. Probably the show's strongest suit is the duality of the characters, as they explore the light and dark side of each character. The presence of dopplegangers make it even more interesting. This allows the actors to shine and showcase their acting abilities. Although the fan favorite is Ian Sommerhalder who plays Damon Salvatore, the main bad boy in the show, I particularly like Paul Wesley's Stefan Salvatore. He is a tortured soul who learns to control his animal urges so he does not become that monster, the ripper (he has a knack for feeding so verociously he snaps the heads off his victims!). Nina Dobrev shines too as her doppleganger Katherine Pierce, and she plays the ultimate bad girl card to the hilt! For me the best story arc revolved around the original vampire family when Elijah makes his presence felt in Mystic Falls, followed by his brother and sister. Season three has been the strongest season so far, and this stretched out into season four. It was edge of your seat storytelling! By comparison, the following seasons featuring Stefan and Elena's dopplegangers Silas and Amara was less captivating. As mentioned earlier, the Mikaelson's were so compelling that they produced a spin off series based on these characters. The feel of this show is different to the Vampire Diaries and it seems targeted at a more mature audience. For a start this story is about family and how family always sticks together despite the odds. 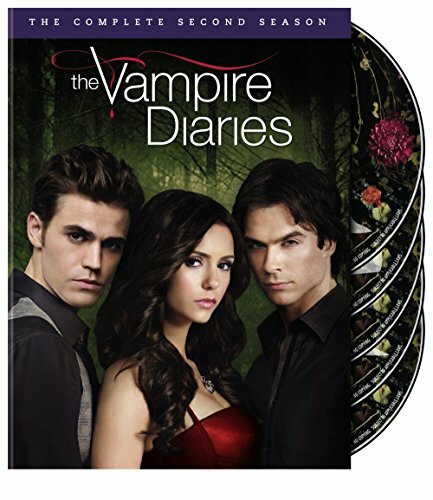 The standout actor in this series is the big bad from the Vampire Diaries series, Klaus. British thespian Joseph Morgan plays this role with aplomb. He has just the right mix of dry humor and sarcasm. Plus he has that mischievious grin and the glint in his eyes! Daniel Gilles is equally compelling as his elder brother who never ever gives up on his younger sibling. There is a certain chemistry between the two that makes it so believable. 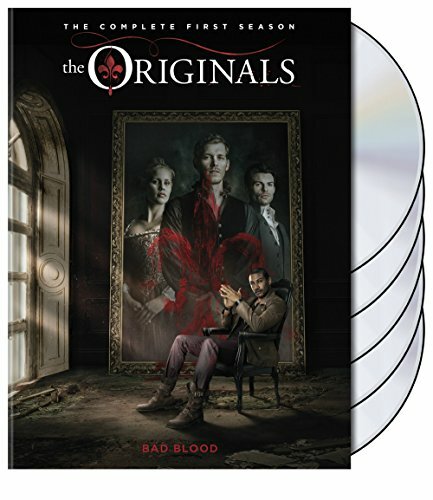 Australian actress Claire Holt completes this trio as the sister Rebekah. Unfortunately, she is on a short hiatus from the series to tend to family matters. The second season is currently underway and it is definitely more convoluted than the first season. One of the must watch series this fall (2014).